Oleg Storchevoy, the deputy head of the Federal Air Transport Agency, says the organization is assisting with the investigation into the crash of flight MH17 over Ukraine. However, the data it has provided has largely been ignored by the Dutch authorities. 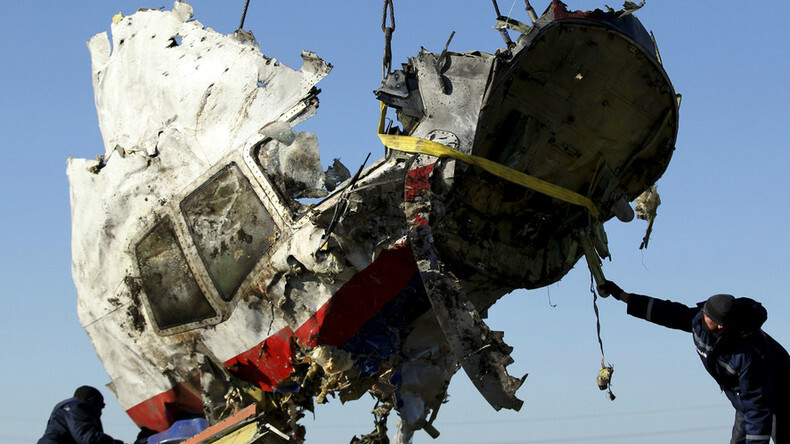 As you know, Russia’s Federal Air Transport Agency represented the Russian Federation in its contribution to the technical investigation into the crash of the Malaysia Airlines Flight 17 over Ukraine. In light of this, we would like to use this opportunity to respond to your recent request urging President Putin to clarify whether Russia has provided primary radar data for the inquiry. For the sake of clarity, I must specify that Russia submitted primary radar data to the DSB in the form of a video recording capturing a Russian air traffic controller’s display. It should be explained that primary radar data can be stored in the form of videos, which is consistent with ICAO standards. It should be explained that Russian air traffic authorities store primary radar data exclusively in the form of videos, which is consistent with ICAO standards. That said, the Dutch Safety Board’s final report does not suggest that this fact might have somehow affected the findings of the technical inquiry into the circumstances and the cause of the crash. We would also like to point out that the tragedy took place outside Russian airspace, where the airliner was not being directed by Russian air traffic controllers. Russia’s radar data became a point of interest due to the fact that Russian radar control facilities located near Rostov-on-Don were able to track MH17’s flight path. Furthermore, it was later established that the Russian primary radar data were, in fact, the only ones available, since Ukrainian air traffic control services, for some unclear reasons, had not been running primary radar surveillance, despite the fact that there were no other means available for ensuring air safety over the war zone in Eastern Ukraine. Russia is as determined as you are to ensure that this horrible tragedy is investigated as promptly, diligently and impartially as possible. We fully support your recent queries to the governments of the United States and Ukraine, demanding that they provide the investigators with all relevant data. The United States must disclose the satellite images that Secretary Kerry claims it has kept since the moment of the crash, which are supposedly capable of shedding light on the circumstances of the tragedy. At the same time, Russia has repeatedly pointed out that the Dutch technical investigation was performed in an extremely nontransparent and biased manner. We support you in your efforts to get answers to the numerous questions that remain unanswered. The Dutch Safety Board should explain to you and to the whole world why the technical investigation took such a long time and why it resulted in some very abstract and vague statements. The Dutch authorities should explain why they distorted facts and concealed data, and why they ignored important data provided by Russia. The DSB should explain why its final report distorted data about missile fragments and places where they were found, why it failed to thoroughly examine penetration holes on the aircraft, why it misrepresented the probable location from which the missile was launched, and many other discrepancies in the final report.